My good friend Jean is in love with Prague (as in The Czech Republic). She wanted to go for an extended visit of one month and had a brilliant idea how to get free housing. She registered her home in Florida on a site called “I’ll Live In Your House and You Can Live in Mine.” Sure enough, she was contacted by a Czech woman named Magda (name changed to protect me, not Magda) who was willing to give Jean her flat in Prague in exchange for Jean’s home on Anna Maria Island, Florida. Exchanging homes with a stranger might not be quite as risky as exchanging bodily fluid with them, but it comes pretty darn close. Jean’s story is a good example. After a rough start, in which Magda appeared in Florida several days before the agreed upon date and didn’t understand why she couldn’t take possession of Jean’s house, Jean whisked herself off to Prague and on to Magda’s flat. 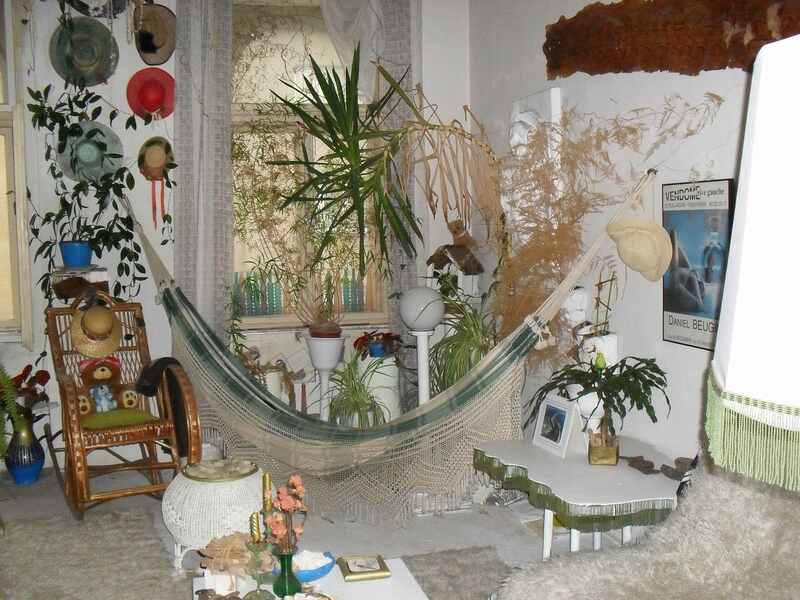 Jean anticipated something very quirky and bohemian, based on the photo Magda had sent to her online. 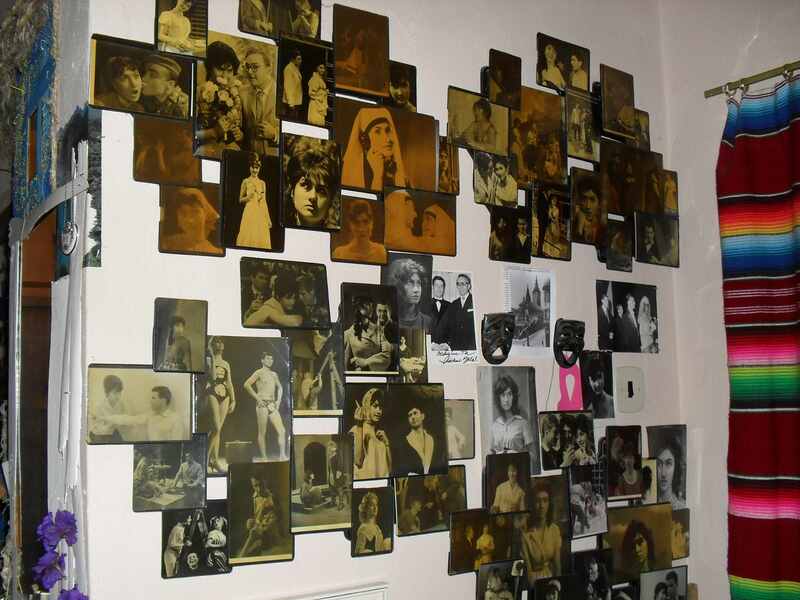 Magda, Jean discovered, was an actress back in the day and had an entire wall of photos devoted to her career. Her flat looked like a flea market version of Gloria Swanson’s home in “Sunset Boulevard.” If you were born listening to iTunes and not Looney Tunes, you won’t ever have heard of that movie. Luckily for you, I have provided photos. Let’s back up here. Before Jean walked into the flat, she had to first walk up four flights of stairs in an un-air-conditioned building. Now to the flat: no air conditioning, no stove, no curtains on the huge bedroom window. In addition, it was dirty (really dirty) and disheveled. Jean lasted two days. 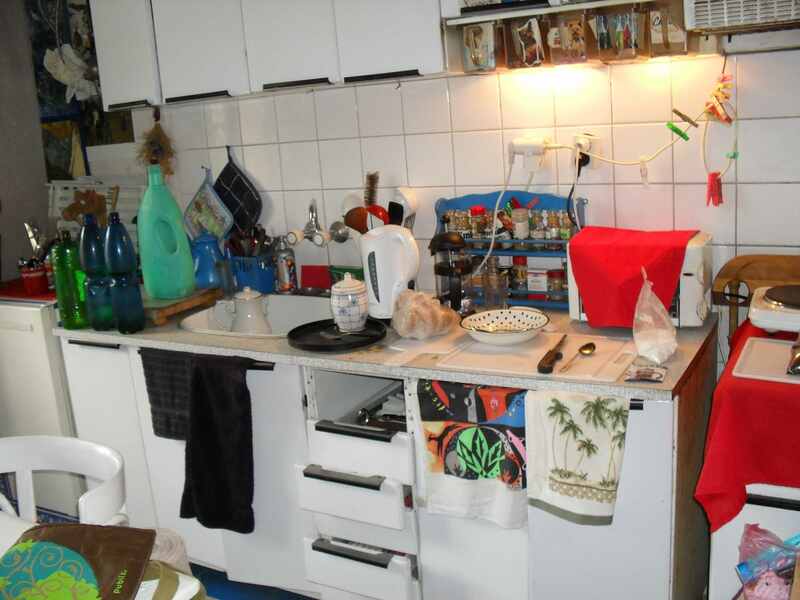 She fled to a clean apartment that was air conditioned and had a real kitchen. She was happy to pay for it. About a week later, Jean realized her jewelry box was missing. It could have been taken at the airport or she could have left it at Magda’s flat. She immediately wrote to ask whether Magda’s friend and neighbor had perhaps found the jewelry box when she went to water Magda’s plants (all 50 of them). 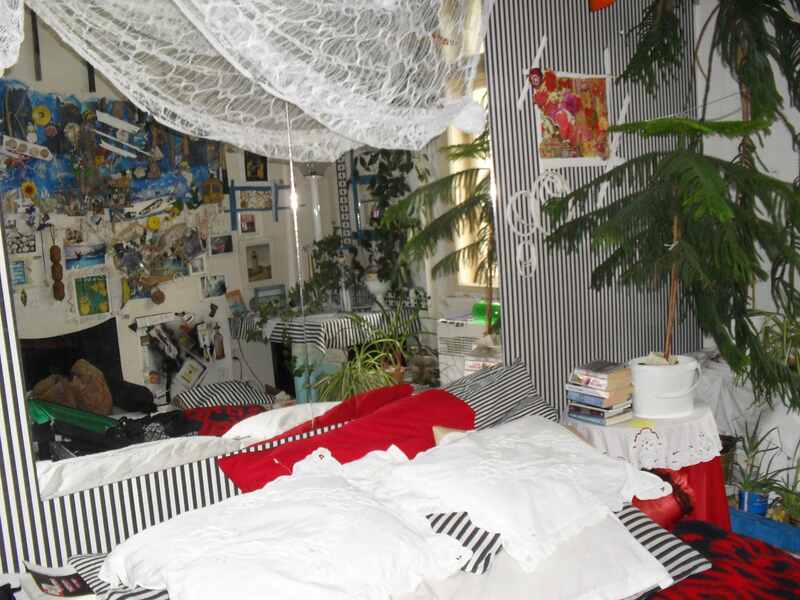 Jean was also hoping, based on the level of filth in Magda’s flat, that Magda was anticipating vacating Jean’s house earlier than the end of the month. Since Jean hasn’t, up till now, seen “cocroachiss” in her Florida house, she has a pretty good idea how they arrived. Unfortunately, Jean is thinking that Magda probably won’t take them with her when she leaves. Oh dear, what a nightmare! Sorry your friend had to go through this. I just got an email from Jean. She is so happy in her new digs and loving Prague. I think next time, she’ll just be a bit more careful about who she swaps with! I think swapping living quarters with somebody I know would be difficult! Would never risk it with someone I didn’t know…I guess I’m a big chicken! Jean is notorious for taking huge risks in life (like trying out for, and almost making, the cast of “Survivor”). This is one of the few that backfired! I’d be afraid that they would find my wonderful pot I have growing in my basement! I couldn’t do that. That is just part of my drug collection. Would it be ok if I added you to my blogroll? How happy is Jean going to be when Jean gets home? Is Magda still in her house? It’s a cliffhanger entry! I wonder if the “cocroachiss” were really Palmetto bugs, which in my mind are worse: flying cocroachiss. After you live there for awhile, you kind of get used to them. I’m slowly and haphazardly making my way around to blogs that are new to me. I’m enjoying yours very much. Thanks for reading and enjoying! You might be right about the Palmetto bugs. I didn’t think of that.